The USS Enterprise crew explores the furthest reaches of uncharted space, where they encounter a new ruthless enemy (Ol’ Luther – I mean, Idris Elba) who puts them and everything the Federation stands for to the test. I’m NOT the biggest Trekkie BUT I have really enjoyed the Abram reboots. Shaking up the cast, reworking the old story lines and tweaking the dynamic. A breath of fresh air among the barrage of reboots, remakes and endless (and unnecessary) sequels. BUT it was always going to be a tough act to follow Into Darkness. 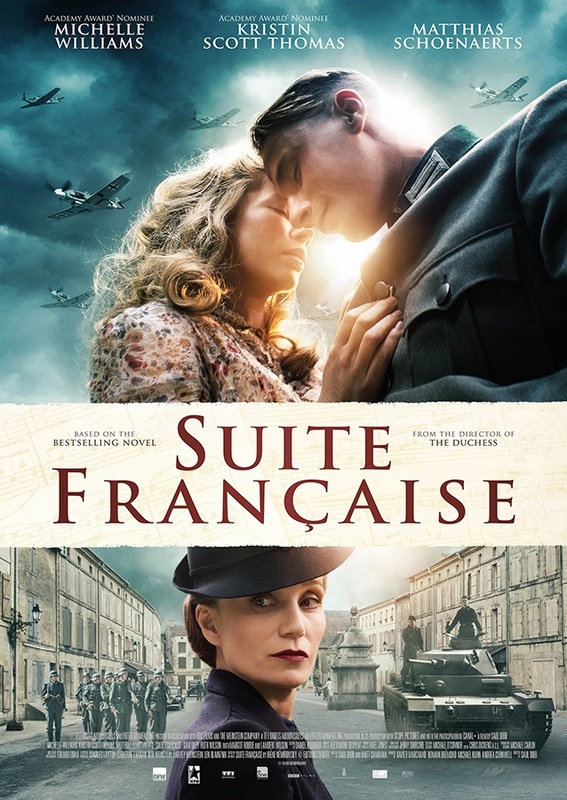 A new outing that didn’t rely on past plots. My confidence was restored when I discovered that Beyond was penned by an avid Trekkie (Simon ‘Shaun of the Dead’ Pegg!). A man who relished the dream role of playing Montgomery ‘Scotty’ Scott made famous by James Doohan. BUT this time around, I felt this lacklustre sequel only just delivered a watchable actioner. 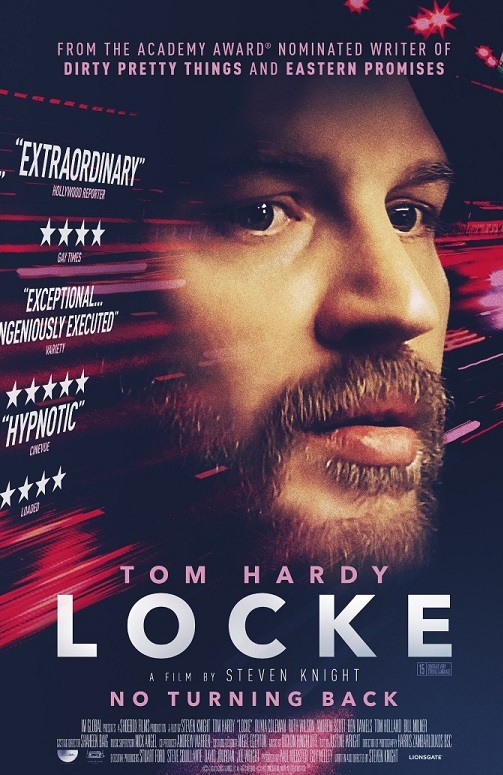 From the director of Fast and Furious, I knew I could expect big explosions AND good set pieces. BUT it was a case of either being too fast and furious with the action or drawn out and repetitious with barely any exploration of the characters. Even the laughs were few and far between. The opening act didn’t really give me much hope with the crew acting as intermediaries between some silly CGI dog things. Yikes. It seemed to go through the motions with Pine’s Kirk going through yet another existential crisis as he questioned his purpose on the Enterprise. Quinto’s Spock received some grave news which made the normally unfeeling extraterrestrial contemplate life and death. I just wished it wasn’t so tedious and uninteresting. That’s NOT to say there weren’t moments to be had. The special effects were impressive. BUT that was only when you could actually see the set pieces. There were several scenes where I actually struggled to see a majority of the action. I could see the Phaser rays blasting through the darkness BUT only just gather that it was Kirk and Chekhov sliding down a spaceship hanging off a cliff. Ridiculous. The 3D was a waste of time. It didn’t bring anything to the experience. When the Enterprise was attacked by Krall’s death ships, it was a sight to behold BUT after 15 minutes of explosions and carnage, I found myself fidgeting. I liked the dynamic between Spock and Bones as the pair were reluctantly put together. Karl Urban (Dredd) was the main scene stealer and kept things light when the pace drudged along. Once Big Ears got over his nihilistic sulk, he was back on fine form. The banter between the duo was a much needed tonic; “You gave your girlfriend radioactive jewellery”. The rest of the crew was a mixed bag. The late Anton Yelchin had quite a big involvement in the mix as he aided Kirk in the battle against Krall’s goons. His presence will be missed. Although rumours suggest that Abrams may try and do what they did with Walker in the Fast and Furious franchise. Pegg’s muddled Scot accent really grated against me. And I was disappointed that his little green pal Wee Man (“Get down from there!”) was left on the sidelines. There wasn’t any depth to the characters. Bar Dr Zulu’s sexuality. Hardly a revelation and thrown in without any exploration. Shame. There might have even been a bad continuity error with the length of their journey to the age of Zulu’s child (For those who watched it – Did you notice this?). Saldana’s Uhura was reduced to being Krall’s prisoner for the majority of the movie. If anything, her absence wasn’t missed. Disappointing, to say the least. Sofia Boutella (Kingsman: The Secret Service) was the best character in the piece as the feisty Jayla. I wanted to know about her origins and why she was the only alien to evade Krall’s capture. However it wasn’t long before she was pushed into the background for more mindless exposition. Only to be brought back for the frantic finale. More could have made out of her. A missed opportunity. Idris Elba did his best with the creepy Krall. The make up was brilliant. He really looked the part BUT Luther’s lines and delivery made him too comical for my liking. You try listening to him with that silly voice pronouncing Captain Kirk. Good lord. He couldn’t match Cumberbatch’s tenacity or Bana’s bad-assery and was quite a tame villain by comparison. A twist about Krall could have been so much more BUT by the end, I couldn’t care less. 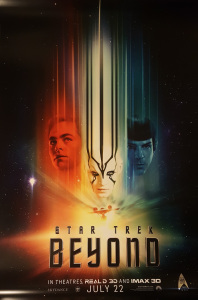 Captain’s Log; Beyond was a bit of a misfire for me. It tried to deliver a bit of everything and failed on all fronts. A watchable effort that killed the time BUT I think Scotty better beam up a better script for the next endeavour. BLAST-ILLE DAY! Or Luther pick-pockets Paris with that guy from Game of Thrones. An entertaining and explosive little actioner that does the job. 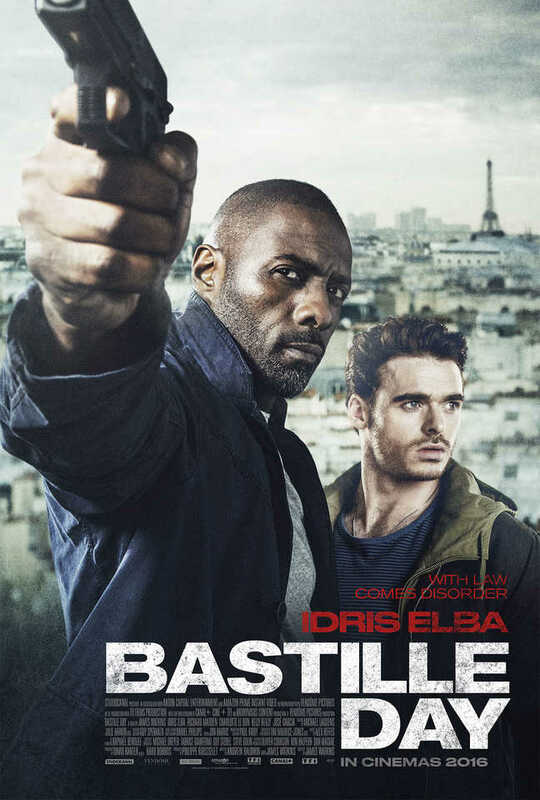 A young con artist (Richard Madden) and former CIA agent (Idris Elba) embark on an anti-terrorist mission in France. An eye-grabbing opener certainly got things going as a naked woman (What?) paraded around the Sacre Coeur. A perfect distraction for Madden’s master thief as we watch him do what he does best; pick pockets. It was quick to skim through the frankly dull and clichéd police guff as Elba’s wildcard Briar is assigned to France against his superior’s (A heavily underused Kelly Reilly) better judgement. You couldn’t get anybody better than ol’ Luther (I mean Mr Elba) to play a stern no-holds-barred copper that does what it takes to get results. Elba certainly did his best with the wafer thin role. His gravelly voice and stern delivery making the most generic of lines sound not quite so terrible. Madden was a charismatic lead. He has popped up in a number of different roles since GoT. One to watch. At least his troubled pick-pocket had a little more depth. Most importantly when the bag he steals contains a bomb. Completely unaware, our small time petty thief dumps the bag, triggering the bomb and unleashing a mad packed chase around Paris. The plot delivered enough suspense and cryptic puzzle solving for the first hour. A bigger play always in the work. BUT once the unravelling began, there were more questions than answers by the closing minutes. If anything, it was a little ridiculous and oh so dreadfully predictable BUT what did you expect from a shoot em up? The action sequences were well executed. Tense, frantic and violent as hell. A rooftop chase was choreographed brilliantly. Nail-biting stuff. Madden and Elba weren’t a bad duo. They worked well together BUT it just felt that with a better script and some better characters, this could have been so much more. It could have done with a little more banter and humour. Some of the jokes just didn’t quite polish off as well as they could have. That’s not to say that there weren’t moments to be enjoyed. When an angry Briar finally catches Madden’s Michael and demands why he ran. Michael simply responds: “Have you seen yourself . . . You’d run to”. Charlotte Le Bon (The Walk) played the conflicted resistance fighter well. It was just a shame that her character was pushed into the background once Madden and Elba were united. Only re-surfacing for the the mad dash finale. Anybody could have played Kelly Reilly’s (True Detective) handler. And despite trying to involve her character (in a highly predictable twist) three quarters of the way into the film, you soon realised how unnecessary her character was. Disappointing. Just when I thought the pace was lagging and the cliched exchanges were beginning to rear their ugly heads, I was soon rewarded with a frentic, in-your-face finale that was everything I expected. 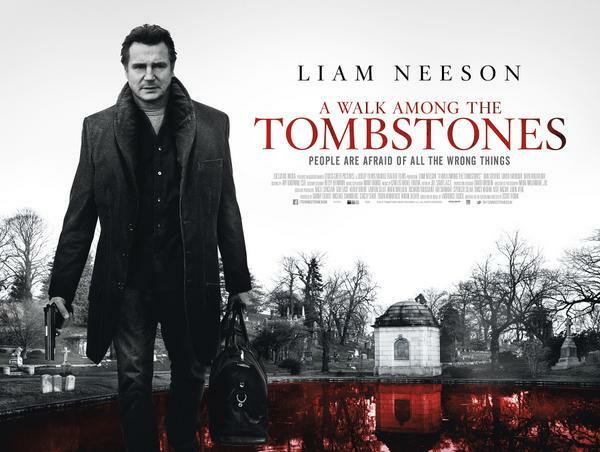 It may have missed an opportunity BUT it was still an action packed thriller that hit the spot and killed the time. If you were expecting anything else, then move on. What the feck did I just watch? 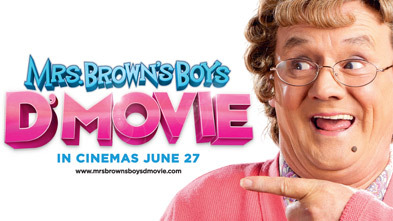 Brendan O’Carroll is back as Ireland’s favourite Mammy, Agnes Brown. Better than ever and on the big screen? Tragically, no. Maybe Mrs Brown should have stayed on the small screen. Now I know, that’s not nice. I am actually a fan of the TV show and got caught up in the craze that was Mrs Brown’s Boys. Critics slated it back then, despite huge success and ratings. However, this time round, this sluggish effort gives quite a few of the critics’ justification. I went in, wanting to like this but my lord, I always thought that a number of sitcoms had that irritating canned laughter as an act of desperation to make the jokes sound better. Not the audience I was sitting with. I felt like I was sitting in an Andy Millman audience from Extras. Laughing at the littlest thing. I mean, they were just laughing at O’Carroll dressed as Mrs Brown, for fecks sake. I mean, come on. He’s been doing it for three years now. If you are not familiar with Mrs Brown’s Boys, do not see this as an introductory course. You’ll just sit there thinking why do those crazy English like this so much? And that’s the problem with translating TV to film; it doesn’t always work. So many sitcoms have tried in the past and failed, bar the Inbetweeners Movie (which wasn’t perfect), Mr Bean (minus the sequel) and Kevin and Perry Go Large. Unfortunately, this was a case of best bits in the trailer and even those bits weren’t laugh out loud or that particularly brilliant anyway. O’Carroll had found a winning formula back on the small screen. It wasn’t subtle or particularly clever. But it was funny, entertaining and most importantly . . . FUNNY! It felt like he knew he would be onto a winning horse and just slapped anything together, thinking “Well, they’ll go see it anyway. Who gives a feck?”. It has a couple of moments. But that’s it. Moments. Some of his zippy one liners still manage to crack a much needed smile in this stale treat. I mean the little bits may bring a tut but a guilty grin all the same. Dermot Crowley’s (Luther) character Keep a PRIC in power. Sloppy satire but a chuckle none the same. To be honest, it was such a mess that for every good gag (and there weren’t many), we had to endure drawn out unfunny dialogue and a feeble attempt at trying to make social commentary. Even the family moments bar one scene with O’Carroll and Jennifer Gibney (his wife) who strangely plays his daughter Kathy, seemed hammy and desperate. It was an endearing moment but didn’t seem to fit in this film. The format that brought three successful series didn’t really work. The scenes where they messed up their lines seemed forced to get a cheap laugh. One did get a guilty laugh. Not even the OTT moments were that great, just desperate and still unfunny. The gag with some blind ninjas went on far too long. It was great to see some TV personalities showing up. I mean Eamon Holmes, it was a little obvious. Robert Bathurst (you may recognise him from Downton Abbey) as a solicitor with Tourette’s was unexpected and did bring the laughs. Ironically, the last 20 minutes did seem to find a pocket for some gags that did manage to make me less angry and disappointed. The exact length each TV ep was, near enough. Maybe the feature length was a challenge and it felt like one. Not even Winnie (Eilish O’Carroll) and Buster (Danny O’Carroll), two of the better characters, couldn’t save the day. Interesting, both are Brendan’s real life sister and son. Buster certainly got the most laughs but even his moments weren’t that great. I just felt that O’Carroll went for lazy stereotyping. The shady Russians were incredibly clichéd and bland. His impression of a Chinese kung fu master got a few frowns. And the legendary Grandad reuniting with his old IRA cronies was a little stereotypical and felt a bit desperate that it had to lead to another IRA gag after avoiding it for all three TV series. But it did get a cheeky gag involving a colleague with Parkinson’s and a ticking bomb. Rory and the Channel swim was cringeworthy and seeing running away, squealing again. It felt repetitive and that Borat swim suit. There’s an image that will haunt my dreams for nights to come. The play on names worked to some extent. Guilty punnery. I mean, come on. Tom Crewes and Irma Byke. The moment in Ol’ Agnes is dripping wet then miraculously dry the next. Cue a cheeky exchange at the camera, “I love the movies” worked. But for every little cheap titter, there’s just a bad gag or a pointless one. I mean the dance number at the beginning? What the feck was that all about? And that’s all I kept asking myself. At times, I felt like I was watching a really bad amateur adult panto. Maybe it’s time for O’Carroll to hang up the wig. Stop milking the cash cow because the udders were well and truly dry on this one. Currently ranked 183 out of 196!